Just Where Is WikiLeaks Founder Julian Assange's "Mansion Arrest"? WikiLeaks founder Julian Assange was granted a strict conditional bail in England this week while he awaits extradition hearings related to his arrest warrant for questioning in Sweden over his alleged sexual assault of two women there this past summer. Some of the conditions in his bail agreement required that he provide a fixed address in England, as well as wear an ankle monitor and stay at said fixed address. One of his lawyers, Mark Stephens, has repeatedly referred to his bail conditions as putting him under "mansion arrest." Famed British TV journalist Vaughan Smith has promised to be responsible for Assange's living quarters. Besides being owner of the posh Frontline Club in London, where Smith says Assange had been working for several recent months, Smith also lives in Suffolk, England, about 100 miles northeast of London near the coast. 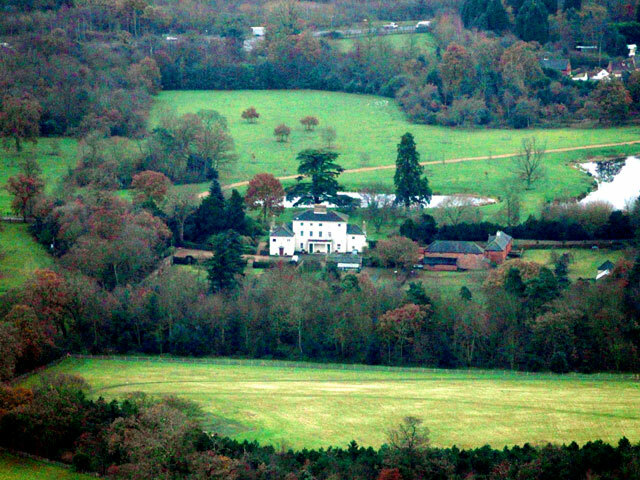 Gallery: Ellingham Hall, Site of Assange's "Mansion Arrest"
Assange will be staying with Smith on his 650-acre estate in a Georgian Mansion, called Ellingham Hall. "Ellingham Hall is a superb venue for beautiful lakeside wedding receptions, within a traditional parkland and with the optional support of our own first-rate catering. Ellingham Hall is a Georgian house set in traditional parkland in the Waveney Valley. Couples can have very personalized lakeside wedding receptions in the park, secure in the knowledge that they have a setting that is second to none." Suffolk County is close to England's east coast, and is mostly flat. Its official tourism website encourages visitors to "indulge yourself in wide open spaces, beautiful coastline, incredible local food and drink and a wonderful range of luxury accommodation." In a Dec. 7 letter to Frontline Club's 1,500 members defending his support of Assange, Smith said: "I am suspicious of the personal charges that have been made against Mr Assange and hope that this will be properly resolved by the courts. Certainly no credible charges have been brought regarding the leaking of the information itself. I can confirm that Mr Assange has spent much of the last several months working from our facilities at the Frontline Club. Earlier today I offered him an address for bail."